Tensions have erupted in Togo after protests against the ruling Gnassingbe family dynasty over the weekend turned deadly. 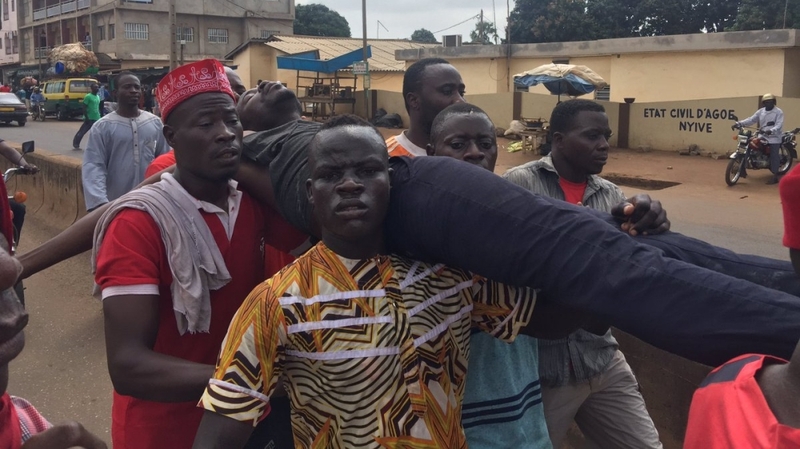 Two protesters were killed, and 12 gendarmes were wounded in Sokode, 338km north of the capital, Lome, when security forces opened fire to break up demonstrations, the security ministry said on Saturday. President Faure Gnassingbe has been in power in the West African country since the 2005 death of his father, Gnassingbe Eyadema, who had been at the helm for 38 years. Chanting “50 years is too long!”, thousands took to the streets of Lome on Saturday calling for the reinstatement of the constitution limiting terms. Security forces fired tear gas to disperse them. “We believe this is it,” human rights activist Farida Nabourema told Al Jazeera on Sunday, adding that Togo was at a turning point. The hashtag #Togoenmarche, or “Togo on the move” in English, is being used to rally supporters. But 10 years later, legislators amended it to enable Eyadema to run for another term. Then, when he died, the military effectively tore up the constitution by installing his son as interim president instead of the head of the national assembly, as was legally required.